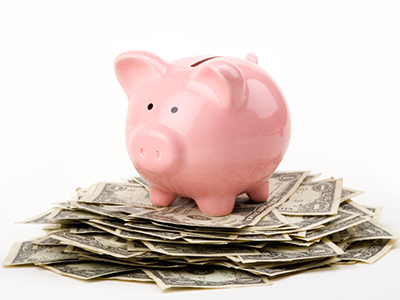 Should You Sign Up For a Health Savings Account? Just as companies campaigned in the 1990s to move employees toward 401(k)s and away from company-funded pensions, they are now trying to end company-provided health insurance in favor of Health Savings Accounts (HSAs). They reason that they can no longer afford to provide health insurance, and workers should be footing more of the bill. But is an HSA the right move for you? Find out more in Your Best Health Care Now: Get Doctor Discounts, Save With Better Health Insurance, Find Affordable Prescriptions . If you work for a large company, you or someone close to you is likely to be pressured to sign up for an HSA soon—if you haven’t been already. Studies show that the number of workers at big companies who have signed up for HSAs has tripled in the past eight years. Overall, by 2016, there were 14.5 million HSA accounts, with $28 billion in assets, and another million new workers were expected to enroll by the end of the year. My Advice. Do not rush to join that parade. By and large, you’ll be better off sticking with company insurance if your boss allows you to do that. HSAs can be the best choice, but only for a select group: the young and fortunate. If you are young, remain healthy, and make a good income during your career, you could accumulate more than enough in your HSA to pay for your family’s health care and pass on the rest to your heirs. But relatively few hit the young, healthy, and wealthy trifecta. Inspired by his viral New York Times article, prize-winning investigative journalist Frank Lalli details how he mastered the ins and outs of health care—and how you, too, can get the best care for your money.Frank Lalli, the former editor of Money and George magazines, has devoted his career to getting to the bottom of a good story. When he was diagnosed with Multiple Myeloma, a rare but potentially deadly blood cancer, he put his reporter’s instincts to work and got the wonder drug he needed at an affordable price—thousands of dollars less than he was told he would have to spend. Amazed by the complex and arbitrary nature of the health care system, he decided to share what he has learned as his own Health Care Detective so that others can find their best care and save money, too. Based on three years of research and more than 300 first-hand interviews with experts, Your Best Health Care Now is your easy-to-follow, real-world guide to making today’s health system work for you. You’ll learn all the smart moves and timely tips to get better care and save hundreds, if not thousands, of dollars—no matter what your concerns may be. 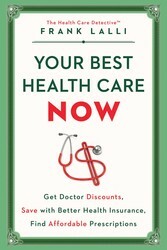 Whether you’re trying to book a free check-up or negotiate with a surgeon, looking for an effective generic drug or the best price for a brand-name, or worrying about high insurance deductibles and rising premiums or a stack of surprise bills, Your Best Health Care Now has the answers you need to take charge of your wellbeing. Share Should You Sign Up For a Health Savings Account?